Team Brown and Team Cotter won the inaugural Raymond James Kelowna Double Cash, the last event on the BC Women’s Curling Tour and the second to last event on the BC Men’s Curling Tour, over the weekend of November 2 to 4. Team Brown went undefeated on their way to claiming the Kelowna Double Cash women’s title. 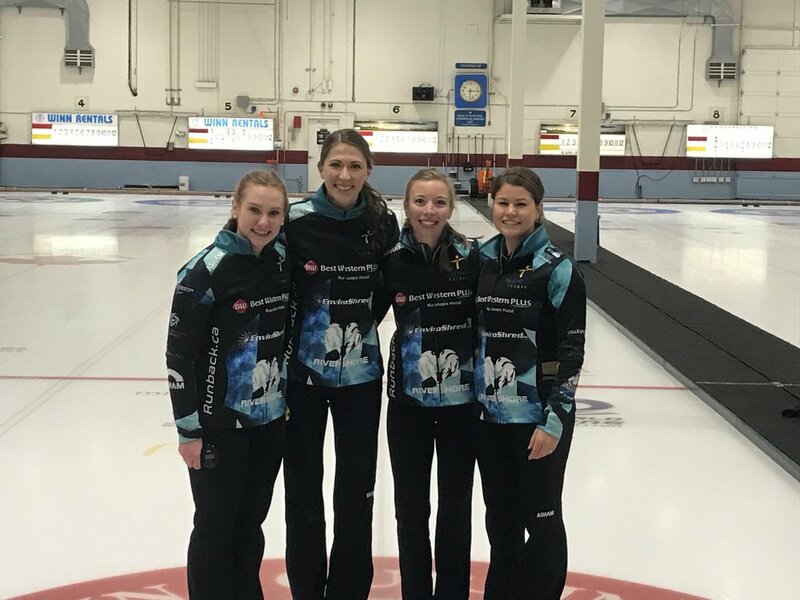 Corryn Brown’s team of Erin Pincott, Dezaray Hawes and Ashley Klymchuk won all four of their round robin games to progress to the semifinals, and secured their spot in the final with an 11-5 win over Team Hudyma. Sarah Wark’s team of Kristen Pilote, Carley Sandwith and Michelle Dunn also went undefeated in the round robin, but fell 5-1 to Kim Slattery’s team of Alyssa Kyllo, Kelsi Jones and Morgayne Eby in the semifinals. Team Brown claimed their second BC Curling Tour event title with a 7-5 win over Team Slattery in the women’s final. In the men’s event, Team Geall and Team Wenzek progressed straight to the semifinals, while four teams battled in the quarterfinals. Jim Cotter’s team of Steve Laycock, Tyrel Griffith and Rick Sawatsky secured their semifinal spot with a dominant 8-1 win over Team Eden, while Tyler Tardi’s team of Sterling Middleton, Matthew Hall and Alex Horvath progressed to the semifinals with a 6-2 win over Team Tolley. Sean Geall’s team of Jeff Richard, Andrew Nerpin and David Harper met Team Cotter in the semifinals, with Team Cotter taking the win with a score of 8-3. Daniel Wenzek’s team of Jared Kolomaya, Jordan Tardi and Nicholas Meister trailed Team Tardi in the semifinals by four points after five ends, but managed to tie the game to progress to an extra end. Team Tardi scored one point in the extra end to win 7-6. Team Tardi and Team Cotter met in the men’s final, with Team Cotter coming out on top with a score of 7-4 to claim their first BC Curling Tour victory of the season. The Kelowna Double Cash was the last event on the BC Women’s Curling Tour. More information on the teams that have qualified for the two automatic berths to the 2019 Scotties BC Women’s Curling Championship, presented by Best Western, will be made available soon. Scores from the women’s event can be found here and scores from the men’s event can be found here. The next event on the BC Men’s Curling Tour is the Ashley Home Store Classic at Penticton Curling Club from November 23 to 26.